Hope you guys are having a great weekend.... I know I'm certainly enjoying it with the cool weather here in Florida :). Aren't they adorable? 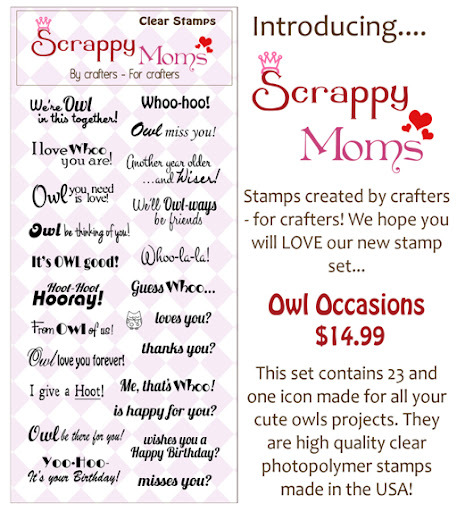 Mini Messages are a must for the projects that need a smaller sentiment and who doesn't love Owl's!!!! So I have been super busy lately creating..... Haven't been posting as I'm mass producing baby shower invitations. I'm so excited to announce that my hubby and I are expecting our first baby in July! :). Hence the MIA lately due to the 1st trimester great feel :D. But now my energy level is back up and I feel great! So for today's sneak peak... 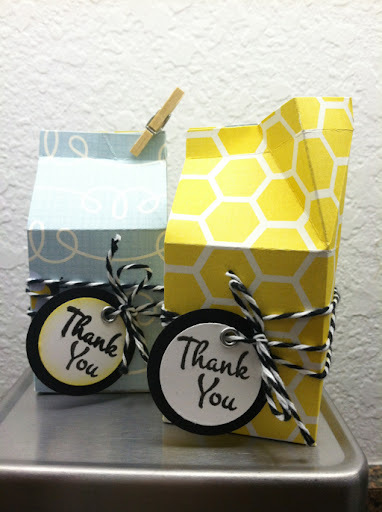 I wanted to show off the mini message stamp set on the Thank You's I've been creating. I only have 2 months till the shower so i' m trying to get everything done sooner than later. The theme is bumble bee :). They're mini milk cartons that will be filled with M&M's! I cut my Thank You stamp set in half so that it could fit in the circle. Hope you guys have enjoyed this sneak peak!! 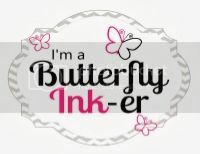 Be sure to check out the other scrappy Mom sisters projects by clicking on their name in the right sidebar. It's that time of the month.... Scrappy Mom's Terrific Tuesday Challenge! 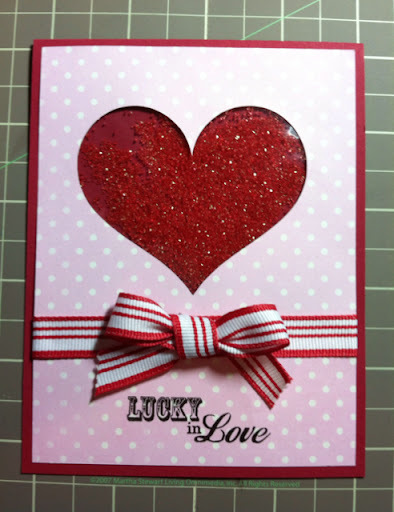 For this week, the challenge is to use a heart as the main part of the project. This weekend I was browsing blogs for inspiration and came across this idea. Unfortunately I cannot remember the blog name to give them credit but if I come across it... I will certainly post it. Now that blogger used sprinkles, however I was out of sprinkles so I used Red Sugar Crystals. And it's just so easy to do! Makes a shaker card!!! Just use some window sheets and super strong adhesive! Hope you enjoyed this project! 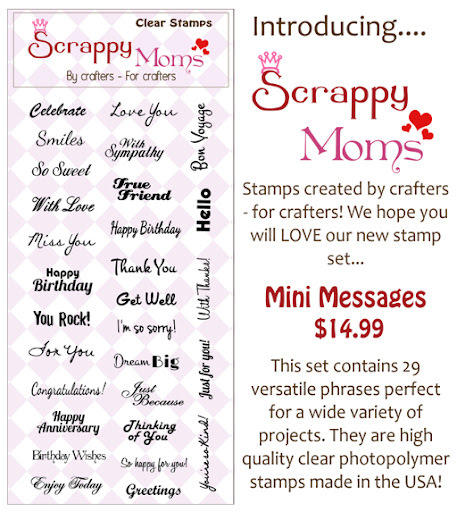 Be sure that you check out the other scrappy mom designers from the scrappy mom blog by clicking the button on the right sidebar.